November 4, 2016  The long-teased collection of Hamilton covers, demos and reinventions includes a remixed "My Shot," featuring The Roots and Busta Rhymes, and Kelly Clarkson's version of "It's Quiet Uptown." 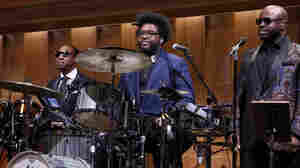 July 3, 2014  "It's strange to admit it, but this is kinda the job we were born for," Questlove says of his group's serving as house band for The Tonight Show. September 24, 2013  The music superstars appear in the studio to perform songs from their new collaborative album, Wise Up Ghost. While the record is structurally based in hip-hop, it comes out as a little something else. 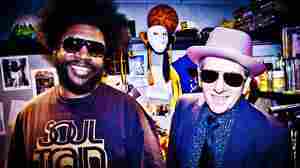 September 22, 2013  Costello has teamed with hip-hop legends The Roots for one of the more unusual, invigorating musical partnerships of the year. 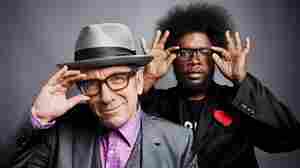 NPR's Arun Rath speaks with Costello and Roots bandleader Ahmir "?uestlove" Thompson about the new album Wise Up Ghost. 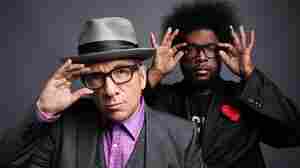 September 8, 2013  Recorded in a year's worth of experimental sessions, Wise Up Ghost sounds like the best of Costello's stuff, and like nothing he's done before. Working with musicians who've figured out how to apply hip-hop principles to a band dynamic, Costello locates himself within that framework to produce some of the most focused and visionary work of his later career. 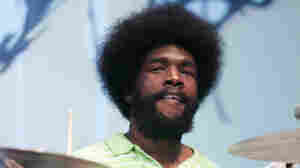 March 13, 2009  Drummer Ahmir Thompson, also known as "Questlove," talked with Fresh Air in 2003 about his career in the hip-hop group The Roots. March 16, 2009  Langston Hughes' epic poem Ask Your Mama: 12 Moods for Jazz gets a multimedia makeover at Carnegie Hall, complete with opera's Jessye Norman, a full symphony orchestra and the hip-hop group The Roots. 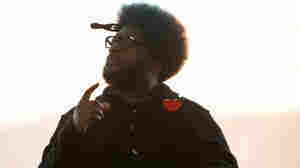 July 14, 2008  The new album from the Philadelphia hip-hop band The Roots contains verses from the perspective of a child soldier in Sierra Leone, a campus shooter in America, and those in the grip of addictions. Rising Down may be the group's best album. April 29, 2008  Ahmir "?uestlove" Thompson of The Roots talks about the band's new album, Rising Down, as well as the scarcity of black bands signed to major U.S. record labels. December 5, 2006  John Richards, morning DJ for NPR station KEXP in Seattle, shares his picks for the year's best albums. Richards recently appeared as a guest on NPR's live online, call-in edition of All Songs Considered to help count down listener picks for the top ten CDs of 2006. September 28, 2006  Years after breaking through as one of the most innovative and musically gifted acts in hip-hop, The Roots' members return with Game Theory, another groundbreaking collection of stellar and often political material. 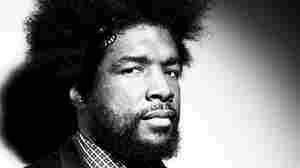 August 23, 2006  Questlove, leader of the hip-hop group The Roots, talks about a new album, Game Theory. 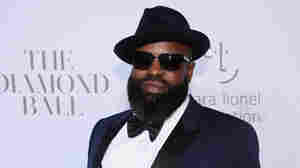 He says the album is "dark," and the subject matter ranges from Katrina to politics. 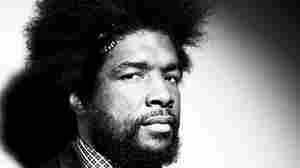 September 8, 2004  Music critic Christian Bordal reviews The Tipping Point, the latest CD from hip-hop band The Roots. July 13, 2004  For its new album, the Philadelphia-based hip-hop group the Roots got together for impromptu jam sessions. 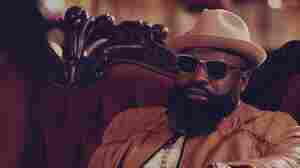 Reviewer Tom Moon says the resulting album, The Tipping Point, has a spontaneous spirit that's reminiscent of early hip-hop. November 29, 2011  On their 13th album, Philadelphia's rap maestros reach new narrative and compositional heights. 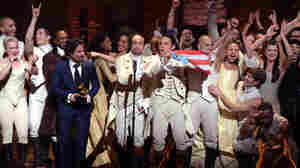 March 31, 2012  A weekend with a few hundred of the biggest geeks in the music world — journalists, critics, scholars, performers and fans — offers plenty of moments that blur the boundaries between genre and occupation.